It is time to start planning those 2018 trips. Here is some updates and basic information to get you started. And start bugging your friends and family to start thinking about a trip now as we are less then 2 months away from permit booking. - A BWCA permit reservation is required for each group wishing to enter and camp overnight between May 1st through September 30th 2018. Only one permit is required per group. Permits are for entering on a specific day and entry point. - Permits are also required for entry into the Quetico and Woodland Caribou. - Mark your Calendars - BWCA reservations for all entry points can be made on a first-come, first-served basis beginning January 31, 2018 at 9:00 a.m. CST. - Permits can be booked through outfitters or recreation.gov. You can start planning with outfitters now so that they can work with you on routes/canoes/gear and book the permit for you when they open. Please see the list of outfitters in our menu above. - Lottery - There is a small set of permits primary focused on motor use which are distributed through a lottery before all permits are opened for booking on Jan 31st. The BWCAW 2018 lottery application period begins December 20, 2017 at 9:00 a.m. CST through January 17, 2018, 9:00 p.m. CST. The lottery is for the following entry points and dates: Fall Lake entry points D (Fall Lake, Newton Lake, Pipestone and Beyond) and 24 (Fall Lake); Moose Lake entry points F (Moose Lake to Newfound and Sucker Lakes), G (Moose Lake to Prairie Portage to Basswood Lake) and 25 (Moose Lake) for dates between May 1, 2018 and September 30, 2018. Lottery results will be available on January 24, 2018. There is a 10 dollar fee to enter the lottery and it is non-refundable even if you don’t win the lottery which is a change from last year. Note for 2019! - The lottery system is going to be eliminated after the 2018 season is over. Jan 30, 2019 at 6:38 p.m.
“Due to technical difficulties, reservations for Boundary Waters Canoe Area Wilderness are closed. We are diligently working to correct the problem. Please check back for status updates,” a message on the site said. TOLD YA it was gonna crash with a rush to get 'em!!!!!!!!!!!!!!!!! maybe da govmet can subcontract ya out to fix all da problems!!!!! which reminds me i still havent seen my drivers license yet!!!!!!!!! while your fixing things reb, can you make sure crawler poachin isnt illegal!!!!!!!!!! No DL yet???! WTH?!?! GET ON 'EM!!!!!! All da resort owners/outfitters Had told da forest service in advance dat dis was gunna happen. It seems dat anything ta discourage folks from commin ta da BWCA fits da agenda of da enviros. Not only dat but just found out from da resorts dat some rules dat existed in da past were also changed wit-out tellin da resorts. Example: in da past one person was designated as group leader and be able ta sign da permits of three others so three other boats dat could fish da BWCA dat day. We were told now to list any others names that would go on yer permit in their boats. Now! the resort owners just found out (after da fact ) dat those names would subtract from yer permit allotment total and be split up off of yer permit use. A massive failure of the U.S. Forest Service’s online reservation system Wednesday morning left potential users with complete frustration and no permits for the upcoming season. The computer system by Recreation.gov crashed immediately after permits became available at 9 a.m. The Forest Service decided to not have a lottery for motor use permits on lakes like Basswood which are in high demand. The Forest Service announced shortly after 10 a.m. that the whole system was being shutdown. “We will reverse all internal and external transactions of course for fairness and close BWCAW reservations until further notice,” said Ann Schwaller, Natural Resources Program Manager at the Superior Forest Supervisor’s Office in Duluth. “Again, the Forest has done everything asked of us the last 14 months. We don’t know why this happened, but we will keep you updated as we are updated. All previous tests the last few months pointed to success for today. “We are sick over it as well. A ton of work has gone into this; including working through furlough. We’ve done all we can to prepare and follow national direction,” said Schwaller. The response in Ely was immediate. While people didn’t directly blame the local Kawishiwi District office, reports were over 300 people called in the first hour. “The USFS BWCA permit system crashed and they are shutting it down because they can’t issue BWCA permits for this summer at this point. Since they tossed the lottery for day-use motor permits, there was such a rush it appears, their computers broke,” said Joe Baltich of Northwind Lodge in an online post. “If you were planning on taking a motor trip to Basswood this summer, you probably won’t be going with a proper permit. I’m sure the Friends of the Boundary Waters are cheering right about now,” said Baltich. “This was doomed to fail from the start and many people tried to tell them that,” said Greg Mosher of Ely. Dave Merhar of Ely said the response from the Forest Service was unacceptable. Merhar pointed out there were Ely business owners who traveled to Minneapolis in hopes of being able to get a better internet connection in order to get permits. This has created a haves and have nots situation. McReady hopes this will cause people to come together to show their displeasure for this and other actions by the Forest Service. “Maybe this will strike up the bass and we will fight this in court. Everybody has been too complacent for too long. Maybe this is just what we needed, a big failure of the Forest Service screwing up on us,” said McReady. Part of the problem may be related to a court decision that should have put more permits back in the system. CWCS was involved in a lawsuit over the Chain of Lakes issue where home and resort owners on Moose Lake had permanent permits to access the BWCA by motor boat. A judge ordered the Forest Service to determine how many permits that would have been and put that amount back into the system. The Forest Service claimed the files had been lost and never accounted for the additional usage, much to the delight of groups like da Friends of the Boundary Waters who fought against restoring motorboat usage to historic levels. Geography may have played a role in the SNAFU on Wednesday. People in Ely struggled to even get the website to show them how many permits were available. Nickerson was left not knowing what would happen but he said there is only one logical solution. “At this point it should be a lottery. There’s no other way it can be fair,” said Nickerson. For BWCA user Bob Jalonen, he decided to steer away from the online route and called the reservation system on the phone at 9:02 a.m.
“All of my circle of buddies were applying online and none could get on via computer. I got on the phone and got in the queue where I was told it’ll be about 34 minutes. I got on at 50 minutes and talked to a human voice,” said Jalonen. For McReady, there may be only one remedy. “This is a major screw up by the Forest Service. One that CWCS may just have to get people’s support and sue them,” said McReady. Copied right off the webpage!!! There's the problem!!! Try to get more than 73 visitors a year!!! ROCHESTER, Minn. (KTTC) – According to Minnesota state’s tourism agency, Explore Minnesota, tourism is a $15 billion industry in this state. Explore Tourism Agency is launching a new marketing campaign Monday. The group will welcome Governor Tim Walz to their annual conference in St. Paul. Minnesota welcomes over 73 visitors each year. Tourism stakeholders argued that everyone would benefit to see that number increase, pumping more fuel into the state’s economy. State numbers show leisure and hospitality generates 18% of Minnesota’s sales taxes revenues. Well, it is a true fact. We do welcome OVER 73 visitors a year. Hopefully well over that. Would love to win that. Wouldn't be many lines to battle neither. Stauber to Host Forum on the Failure of the Boundary Waters Canoe Area Reservation Permitting System. 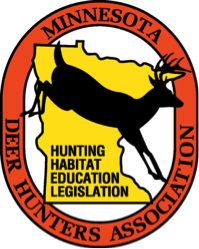 Congressman Pete Stauber (MN-08) will host a forum this weekend to give stakeholders the opportunity to express their concerns regarding the failure of recreation.gov and the subsequent inability to book permits for the Boundary Waters Canoe Area (BWCA). WHAT: Forum for stakeholders to discuss concerns regarding the failure of the BWCA Reservation System. Well! Here We G0 Again! ELY— Minnesota’s Eighth District Congressman, Rep. Pete Stauber, hosted a forum at the Grand Ely Lodge on Saturday to give stakeholders the opportunity to express their concerns regarding the recent failure of the federal permit reservations system for the Boundary Waters. The Forest Service opted to suspend the system on Jan. 30, barely an hour after it went live for the season, when it failed to function as designed. The U.S. Forest Service anticipates reopening the reservations system for Boundary Waters Canoe Area Wilderness quota permits on Wednesday, Feb. 27. More than 100 people attended the mostly-civil discussion on Saturday. A few made wild accusations, while others scolded Forest Service officials and complained they knew the new permit system was doomed to failure. Other stakeholders offered solutions to make for a smooth transition to a new way of doing things. The BWCAW is one of more than 3,500 facilities across the country that utilizes Recreation.gov to manage their permit reservation processes. Within the national reservation system, customers can simultaneously apply for and secure a reservation for a permit. The online system, which has been in existence for about a decade, was expanded this year to include permits for motor use on certain high-demand lakes. Those permits had previously been allotted through a lottery, but Forest Service spokesperson Kris Reichenbach said agency staff felt the lottery was no longer necessary since those seeking reservations can now see permit availability instantly with the online program. A panel of speakers who joined Stauber in the discussion included several outfitters: John Fredrickson, Ginny Nelson, Jason Zabokrtsky, and Bob LaTourell. Ely Mayor Chuck Novak, Ely Chamber of Commerce director Eva Sebesta, Superior National Forest Supervisor Connie Cummins, and Malony Glossa, a deputy forester for the eastern region, were also part of the panel. He asked for the Forest Service to listen to the people who depend on the BWCA for their livelihood. “I wouldn’t have your job for a million bucks,” Waters said. Many other citizens expressed their distrust of the Forest Service and believed the lottery system should return. Former St. Louis County Commissioner Mike Forsman said he has no faith that the Internet-based reservation system will be successful. Stauber said he’s concerned about the economic impact the BWCA has on the Ely community. “The shutdown of the BWCA online permit system has economically impacted local businesses who rely on the hundreds and thousands of tourists who come out every year to enjoy the Boundary Waters,” he said. About 150,000 tourists enjoy the Boundary Waters annually which brings in $57 million in revenue according to one recent study. Forest Service officials were asked about a back-up plan if the re-launch of the reservation system does not work, and how a second possible government shutdown, that could happen on Friday, Feb. 15, will impact the process. Glossa said the new system won’t go live without new testing and training. “We have the opportunity of prior-year funding to continue to support the system and we are committed to doing that. We will find a way to continue to support this system even if we are furloughed,” she said. Dat's what happened at the DMV too.................................... when glenn tried to renew his. Mn must have some topnotch IT people workin for 'em. It was an out of state IT company they ultimately ended up firing. True. Figgers. i used to get my hunting and fishing licenses online till i found out they outsourced it outstate. came from Tennessee....yea i quit that!!!!! Iowa does the same thing, I read somewhere that most of the country goes through that same company. L & M, Fred's, lots of places just put your DNR ID # in a machine that's hooked up to a phone line & it prints your license. I wouldn't be surprised if that goes through the out of state company too. Did some checkin & it's Reserveamerica or Aspira is the parent software company. & online license renewal for all 50 states plus 2 provinces of Canada. Plus national & state park reservations, probably the ones that screwed up the BWCA one. A judge ordered the Forest Service to determine how many permits that would have been and put that amount back into the system. The Forest Service claimed the files had been lost and never accounted for the additional usage, much to the delight of groups like Friends of the Boundary Waters who fought against restoring motorboat usage to historic levels. Another case of the bureacrats knowin better than the public that actually uses the resource. "Senator, have you actually camped in the BWCA?" BWCAW permit reservations pushed back again! By News Tribune on Feb 21, 2019 at 9:55 p.m. The U.S. Forest Service announced Thursday it was pushing back the date for Boundary Water Canoe Area Wilderness visitors to apply for permits for the 2019 summer season. The permits were supposed to be available online Jan. 30, but the system was quickly shut down after some applicants could not access the application page. The U.S. Forest Service decided to nullify all permits issued that day and start over from scratch. The do-over date was set for Feb. 27 earlier this month, but is now being pushed to March 4. "Between now and March 4 we will continue website testing and conducting training with cooperators to ensure the website meets Forest Service and public needs," Superior National Forest supervisor Connie Cummins said in a news release. Applications will open at www.recreation.gov on a first come, first served basis. More than 100,000 people visit the BWCAW between May 1 and Sept. 30 each year, the period during which permits are limited! Recreation.gov is your gateway to explore America's outdoor and cultural destinations in your zip code and across the country. We provide tools and tips to discover new adventures through a one-stop shop for inspiration and ideation, trip planning, information sharing, and reservations. Find incredible places and experiences that help you bring home a story through Recreation.gov! Seen a short piece on this on the Duluth news last night. I didn't remember the exact date but pretty sure they said 9 am it'll open, hope they do more testing of the new version before then.